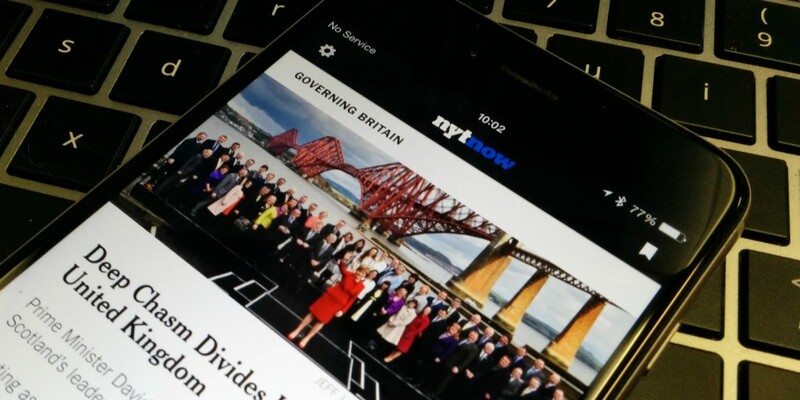 The New York Times recently announced that it would be turning its NYT Now iOS app into a completely free offering, and today the new version has launched complete with a new look. NYT Now, which offers a curated selection of stories from the Times’ output each day and links to interesting reads elsewhere online, was previously subject to the same ’10 free articles per month’ restriction as the rest of company’s paywalled content. The redesigned app folds the Times’ and third-party content into a single stream of shareable cards, which can be expanded to reveal full stories. The company has previously admitted that NYT Now, intended as a youth-focused, more easily accessible way to consume Times content, was underperforming. Today’s relaunch ties in with a wider drive to better serve mobile users. It was recently announced that the New York Times iPhone app would soon have round-the-clock, dedicated editors, for example. We’re told that there are “eight or nine” people working on NYT Now, plus three people who work on the briefings for a newsletter and the core news app. Editors in Hong Kong, London and Paris update it outside of New York working hours.